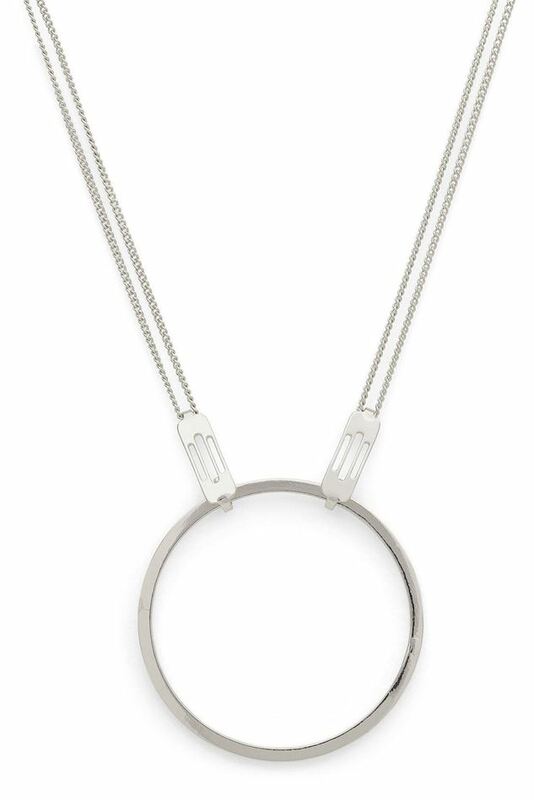 The harmonic circular shape and a stylish lace pattern are united in this lovely necklace with modernist angular shapes. The harmonic circular shape and a stylish lace pattern are united in this lovely necklace with modernist angular shapes. This creates a nice contrast effect and a piece of jewellery that exudes a cool energy. A beautiful and striking piece that fits your décolletage perfectly, and sends a strong signal of unique style and aesthetic sense.